Photo courtesy of Delta Stone Products. 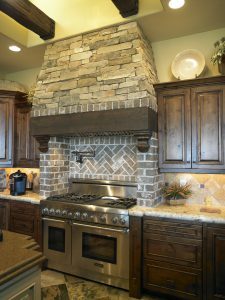 A strong trend in home design is adding texture to vertical surfaces, and a beautiful way to do that is by using stacked stone. 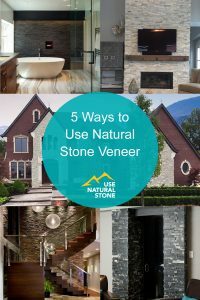 The three-dimensional veneer is made of cut pieces of natural stone that are attached to a backing and installed like you would tile. The material uses no grout; in fact, the dry stacked look is part of its appeal. 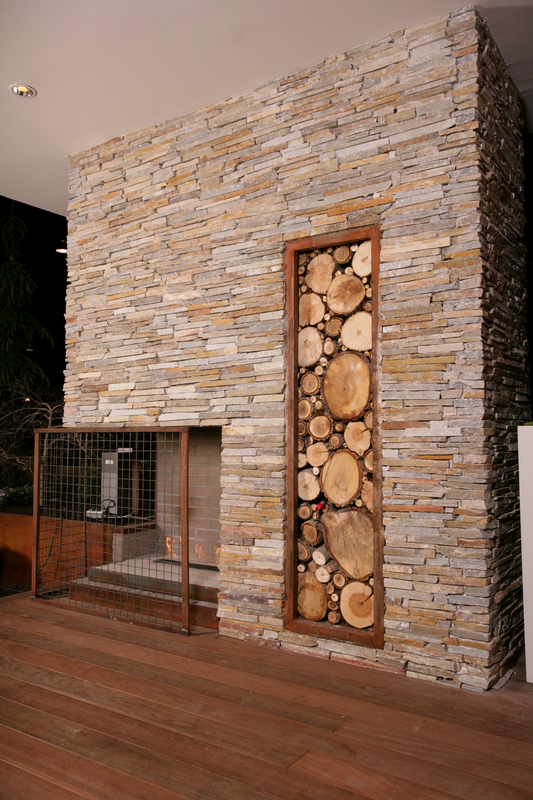 Appropriate for all design styles, stacked stone can be used indoors and out. In an interior, it’s the perfect material for an indoor feature wall, such as around a fireplace, in a bathroom or in a foyer, or as a backsplash in a kitchen. Stacked stone can also be used to highlight the exterior of a home or building, such as around a front door, chimney or on columns. 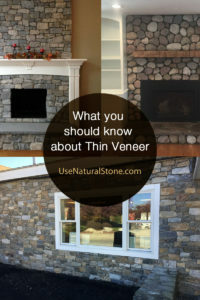 It’s often paired with siding and applied on the bottom half of the front exterior surface. And it can be used in landscape applications. 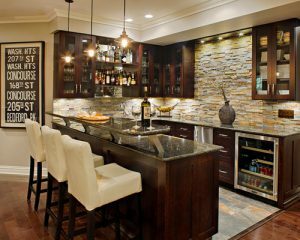 Because it’s made of natural stone, stacked stone will have a variation in color and this can dictate the look of your project. 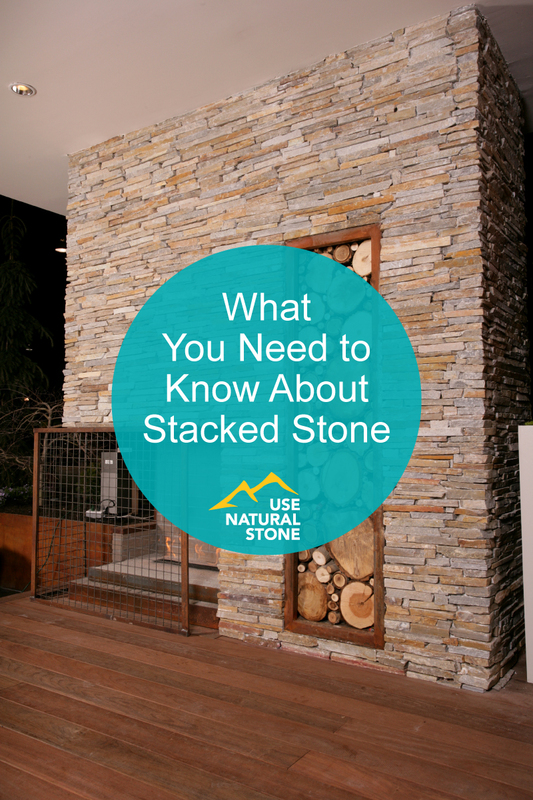 Stacked stone comes in a natural or polished finish, depending on the type of material you choose. 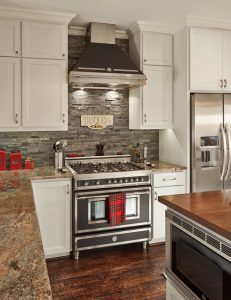 If you want a polished look, harder materials, such as quartzite or granite, should be used. 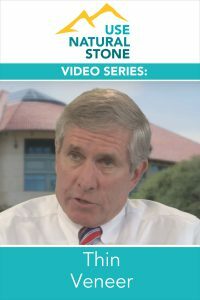 Softer stones are good for applications where a natural finish is preferred. The price of this project can vary; the more you alter stone from its natural state, the more it will cost. RMQ Contemporary Ledge Stone. Photo courtesy of Northern Stone Supply. 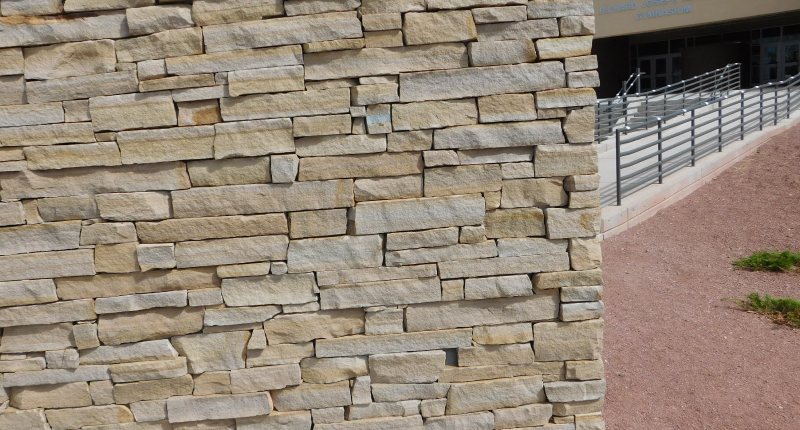 Once installed, stacked stone is easy to care for because it is used on vertical surfaces, says Jacqueline Tabbah, vice president of International Stoneworks in Houston, Texas. Certain areas might requiring using a neutral stone cleaner with a pH of seven or eight. 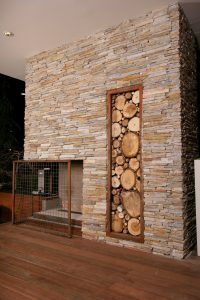 Tabbah also recommends sealing stacked stone that is installed around a fireplace, or in a kitchen or bathroom. 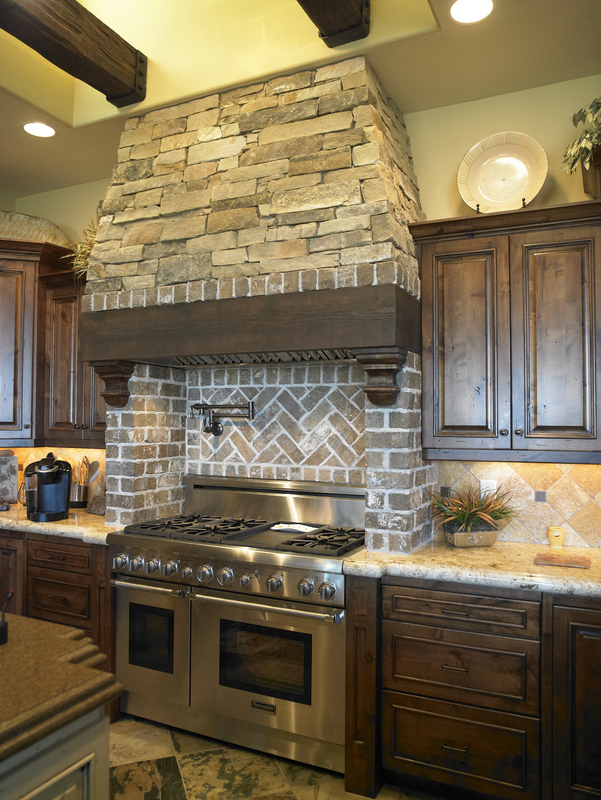 Wherever it’s applied, stacked stone will add warmth and beauty to your space. The look is a perfect mix of rustic and modern style, turning a wall into a natural work of art you’ll love for years to come.